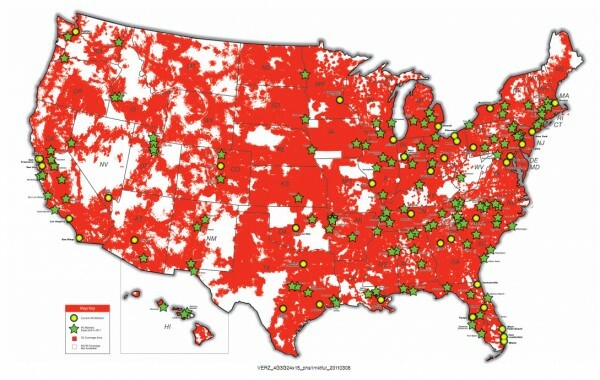 Verizon tweeted yesterday that it would be flipping the switch on a “mess” of new 4G LTE cities come Thursday, which we were hoping meant anywhere from 20-50 cities, but boy were we off. Well, so far. Big Red dumped a slew of early press releases over the last 24 hours – one for each of the 6 cities that should be live by the end of the week. And actually, we wouldn’t be surprised if many of you in the cities listed below already had 4G LTE coverage. According to our Twitter feed yesterday, we had 4G service popping up all over the east coast. Lucky, lucky. Nothing on the west coast. Here’s to hoping they aren’t stopping with these 6 and by the time Thursday gets here, we have another 14 or so to add on.